It’s hard having a pity party when I think of my friend Kristin. She is warm, bubbly and always smiling, but what most people probably don’t see is her pain. Kristin, a mom of two elementary school-aged boys, suffers from several medical conditions that keep her activities limited and often times in bed resting. I first met Kristin five-years-ago at my local MOPS (mothers of preschoolers) group. She was the MOPS coordinator and excitedly welcomed me into the group. Kristin was the life of the party at MOPS, and every two Tuesdays a month, us sleep-deprived moms had the best mornings ever– coffee, breakfast, games, crafts, and adult conversation. Then she got sick, and was in-and-out of the hospital for tests and surgeries. Recently her precious family moved to be closer to her husband’s family, yet through all these set-backs; Kristin is still smiling. I don’t know how she does it, but Kristin shared a few tips with me about how she saves her sanity and femininity in a house full of boys ( 2-boys, 1-hubby). On keeping her Sanity– Seeing people smile is the best. I’ve recently started sending Random Acts of Kindness because it does my soul good. Her Femininity -I love makeup and of course doing my nails. I’m kind of obsessed with lip glosses! Kristin volunteering at her boy’s school Fall Festival. 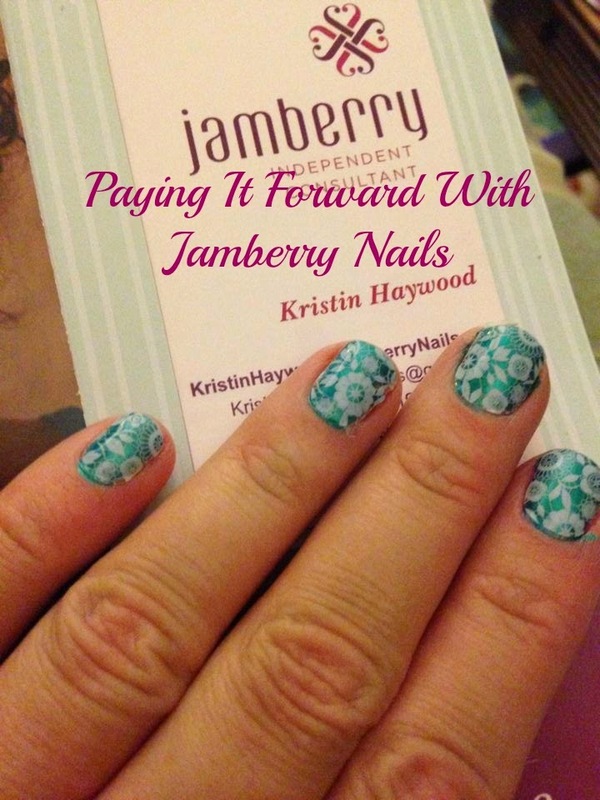 Kristin enjoys doing her nails so much that she became a Jamberry Consultant. 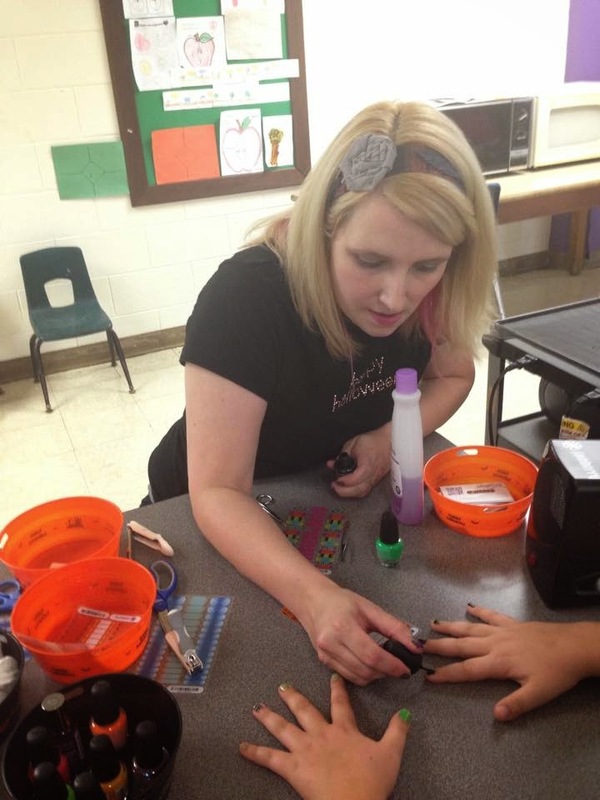 She was initially attracted to Jamberry products based on their quality and affordability plus it allowed her to raise money for her nephew going on a trip to Korea. That’s Kristin for you, always thinking of others, but somehow she is figured out the correlation between helping others while persevering her sanity. Circumstances tell a lot about a person, and although Kristin’s haven’t always been pleasant; she is determined to make a difference. She encourages me when I’m struggling to keep my sanity and femininity, and about to attend the pity party. It’s her example that that motivates me to look beyond myself and help others. Kristin wants to brighten your day and help save your sanity. She’s giving away a sheet of Jamberry Nail wraps. One sheet is equal to two manicures and two pedicures. Enter below to win. 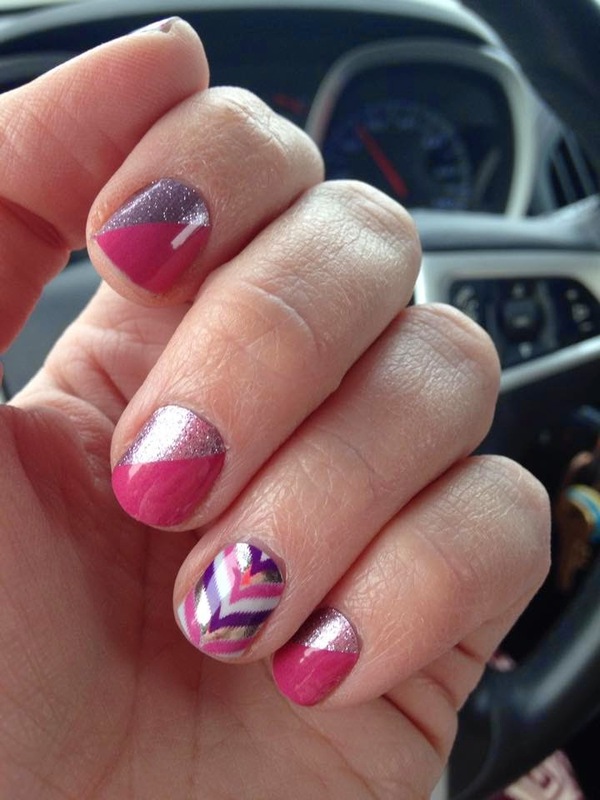 Also be sure to visit her online store at Kristin’s Jamberry Nails. What are some ways you pay it forward or give to others? This time of year our favorite way to help other is to donate to Toys for Tots. I used to work in child welfare and I know there are lots of kids who need some holiday joy and I think Toys for Tots is a great organization to support. My son and I love to pick out the toys together and donate them so it is a fun family activity too. Thanks for the chance! I like how you make it a family activity. It&#39;s a great way to teach our children how very fortunate they are. Sometimes I think my kids can&#39;t grasp that other children don&#39;t have toys when we have so many. Thank you for spreading the joy and commenting. I love the new blog design, its gorgeous. Great job! Thanks, Tanya. I’m learning a little bit each day. I love that she is paying it forward. What you give is always better than receiving. I like how much she enjoys paying it forward. She’s certainly a blessing to many. Thanks for commenting. I’ve heard such great things about Jamberry. I’ll have to check out this product. Your friend, Kristin, sounds like an amazing person! I enjoy using Jamberry’s too. It’s such a fun and easy way to enhance your nails. Thanks for commenting. So sweet, thanks for sharing! I agree, I also love doing my nails and Jamberry has so many fun designs! Jamberry Nails have become a favorite past time of mine. I love how they have no chemical smells. I can sit and watch tv with the kids and do my nails. And I agree, paying it forward is so rewarding! I love paying for the next person in line in the toll booth when I’m traveling or letting people “cut” me in line at the grocery store! That is so sweet of you. Thanks for commenting. I just donated diapers and formula to a local pregnancy support center. Awesome. I just love hearing stories of how people give back. Thanks for commenting. I like to donate clothes to local places. A good way to clean out your closet plus help those in need. Thanks for commenting. Love your new design, Rachel. Congrats. Thanks, Leigh. I’m so glad I made the switch to WordPress.